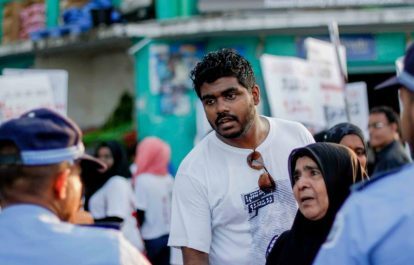 The International Federation of Journalists (IFJ) joins its affiliate the Maldives Journalists Association (MJA) in deploring the brutal killing of blogger and social media activist Yameen Rasheed in Male’ on April 23, 2017. 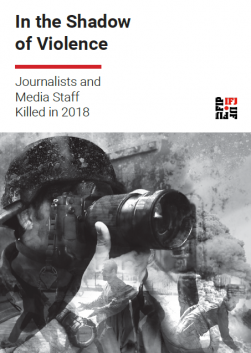 The IFJ demands a major investigation from the authorities into the murder as well as threats made prior to his death. Rasheed, 29, was a prominent blogger and social media activist advocating for rule of law, human rights and social justice in the Maldives. He was found with multiple stab wounds in the stairway of his apartment building at 3am on Sunday, April 23, and was taken to hospital where he died soon after due to excessive bleeding. Reports indicate he had 16 stab wounds on his body, including 14 on the chest, one on the neck and one on the head. Yameen’s father, Hussain Rasheed, told local television channel Raajje TV that he had been informed that the CCTV cameras in the building had been turned aside so that the crime was not caught on footage. The family suspects that the murder was planned. Rasheed was an outspoken critic of the government and religious intolerance in the Maldives, popularly known for his satirical English blog, “The Daily Panic”. 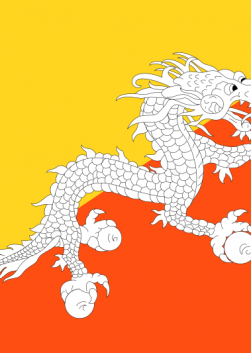 For the past year, he had received death threats from various groups. Rasheed reported the death threats to police and had posted screenshots of warnings he received as text messages on social media. He had also complained on social media about police inaction in responding to his complaints. More recently, Rasheed told friends that the threats were no longer anonymous, which made him uneasy. A close friend of the disappeared Maldivian journalist Ahmed Rilwan, Rasheed was a relentless campaigner for justice for his journalist friend who has been missing since 2014. 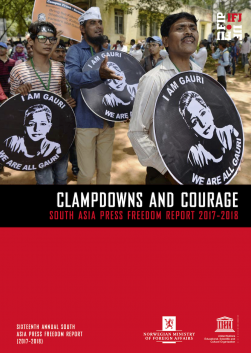 His advocacy work on the case was recognized at the 2015 meeting of the South Asia Media Solidarity Network (SAMSN) and had continued to supporting IFJ monitoring from the Maldives. Former presidents – Maumoon Abdul Gayoom, Mohammad Nasheed and Mohammed Waheed Hassan – all condemned the murder and demanded justice. The Maldivian President’s spokesperson, Ibrahim Muaz Ali, condemned ‘the brutal inhumane attack on a youth’. The IFJ offers condolences to Yameen’s family, friends and colleagues.